Discover the modernist masterpieces designed by Antoni Gaudi during an immersive 4D experience of Gaudi’s creative universe in Barcelona. 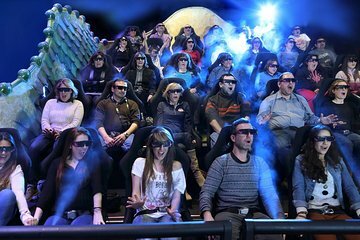 Feel exhilarated as you take a seat in Gaudi Experiencia 4D, an interactive theater located beside Park Güell. Become mesmerized as surround sound, active stereoscopic vision and moving seats allow you to discover what inspired legendary architect, Antoni Gaudi, to design and construct his modernist creations. Very short movie but very entertaining great ride!!! !